Consider golf. It’s a fascinating sport, and a popular one as well. As you think about what it takes to excel at golf, it will eventually lead you to the conclusion that there are two requirements of a top-notch golf game: (1)Equipment and (2)Technique. One is fairly easy to come by – the other… not so much. For instance, I can easily go out and purchase the best equipment but the unmistakable truth is that my golf game will still be, well… awful. Why? Because as good as those clubs are, they cannot overcome my (lack of) technique. Technique requires someone with more skill to teach me, to coach me and to monitor my game. Technique is hard to come by. 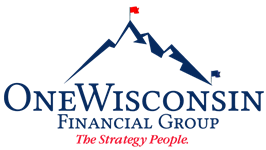 Our purpose here at OneWisconsin Financial Group is to work with our clients on their game – their financial game. Their technique. Products and equipment can be important – and our relationship with OneAmerica helps ensures that those products are available to our clients.